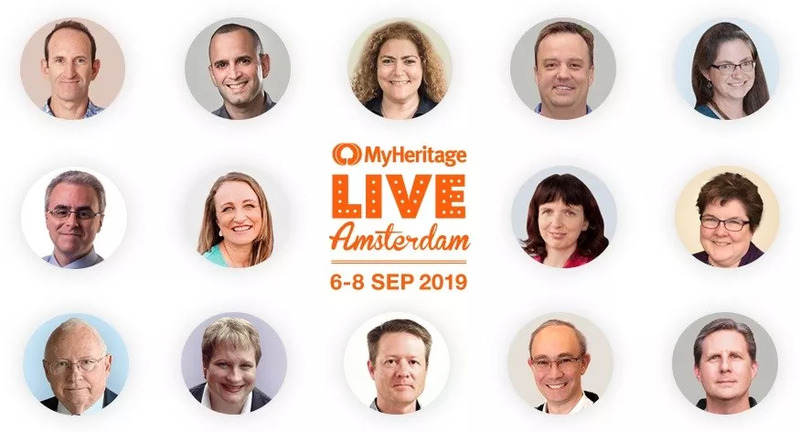 MyHeritage LIVE, which will take place September 6-8, in Amsterdam, will feature lectures and hands-on workshops led by internationally renowned speakers in the fields of genealogy and DNA. We’re excited to announce the speaking lineup for our second annual MyHeritage LIVE User Conference. 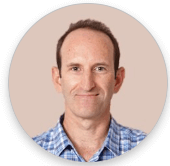 Gilad Japhet is the founder and CEO of MyHeritage. In addition to being a successful Israeli entrepreneur, Gilad has also been an avid family historian for almost all of his life. As an experienced genealogist, Gilad leads MyHeritage with a unique vision, passion, and expertise. You won’t want to miss his keynote talks at MyHeritage LIVE. Professor Yaniv Erlich, MyHeritage’s Chief Science Officer, is a DNA rockstar. He heads the MyHeritage Science Team. Yaniv has a B.Sc. in Computational Neuroscience with the highest distinction from Tel Aviv University and a Ph.D. in Genomics from Cold Spring Harbor Laboratory. He has been an Assistant Professor of Computer Science at Columbia University. Throughout his years of research, Yaniv has made groundbreaking discoveries in genetics and a global impact in the field of DNA. Yaniv and the MyHeritage Science Team published two groundbreaking papers in 2018 in Science, one of the most influential academic journals in the world. Maya leads MyHeritage’s product management and strategy at MyHeritage, ensuring that our products are not only powerful but also engaging and user-friendly. An expert in the field, she lectures on the topic of interactive product design. Maya has always been fascinated with genealogy and even more so when a documentary was made about her own family history in 2007. Geoff Rasmussen is the father of four budding genealogists. He graduated with a degree in Genealogy and Family History from Brigham Young University and had served as director and vice-president of the Utah Genealogical Association. 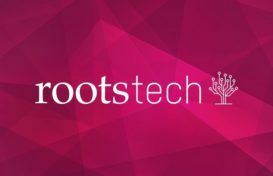 A dynamic genealogy speaker on all forms of genealogy technology, and as host of the Legacy Family Tree webinar series, he has spoken virtually to nearly 100 different countries. Geoff has also authored books, videos, articles, and websites, and develops the Legacy Family Tree software program. Leah Larkin earned her Ph.D. in biology from the University of Texas at Austin, where she used DNA to study the relationships among different species. She has worked in both academia and scientific publishing and applies those research skills daily to solving genealogical questions using DNA. Blaine Bettinger started The Genetic Genealogist in 2007, one of the earliest blogs on the topic. Blaine has been interviewed and quoted on personal genomics topics. He authored “I Have the Results of My Genetic Genealogy Test, Now What?” in 2008. Blaine frequently authors articles and gives presentations to educate others about the use of DNA to explore their roots. A microbiology graduate, Diahan Southard worked before and after graduation for the Sorenson Molecular Genealogy Foundation. Growing up with the budding genetic genealogy industry lead her to her current position at “Your DNA Guide.” There Diahan provides personalized, interactive experiences to assist individuals and families in interpreting their genetic results in the context of their genealogical information. Her lectures are always fun, upbeat, and full of energy. She has a passion for genetic genealogy, a genuine love for people, and a gift for making the technical understandable. Yvette is a professional genealogist, writer, and lecturer from the Netherlands. She is certified by the Board for Certification of Genealogists and served on the Board of Directors of the Association of Professional Genealogists. Her Dutch Genealogy website has helped millions of people find their ancestors from the Netherlands. Cyndi is the creator, owner and “webmaster” of the award-winning web site Cyndi’s List of Genealogy Sites on the Internet, a categorized index to more than 335,000 online resources. Cyndi has been interviewed for many television and radio broadcasts. She is an internationally known guest lecturer for various genealogical societies and seminars and has authored numerous articles and three books. James Tanner is the author of two popular genealogy blogs, “Genealogy’s Star” and “Rejoice, and be exceeding glad.” With over 30 years of genealogy experience, he currently volunteers at the Brigham Young University Family History Library in Provo, Utah.